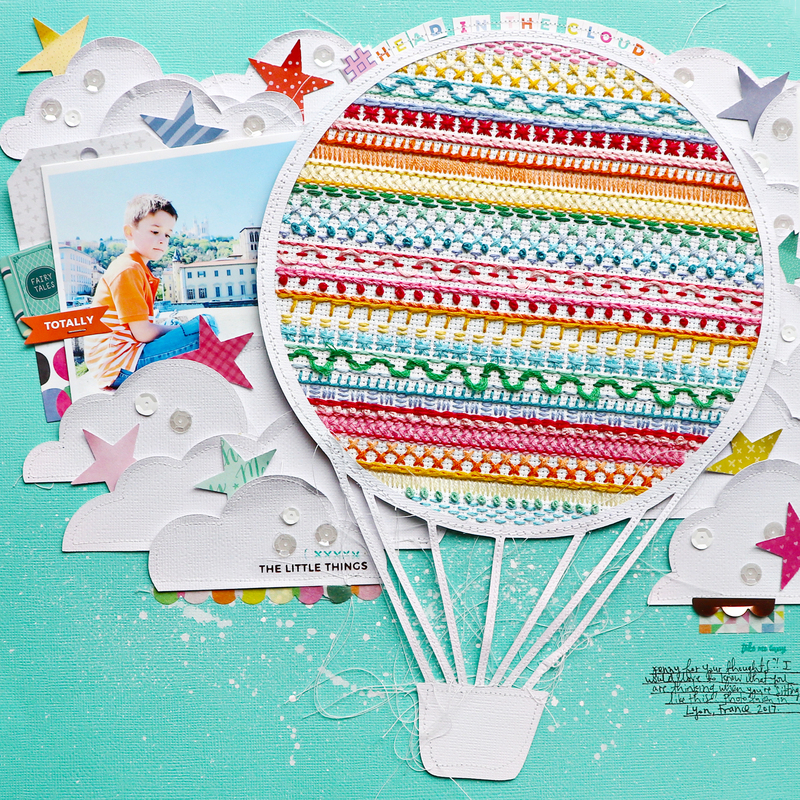 Here is the last layout from my Paige's Pages 12 class at Big Picture Classes! In one of Ashley Horton's recent classes at BPC she did stitching in an actual embroidery hoop - FUN! I have never tried that before but it looked simple enough so I gave it a go and I'm so glad I did! I can't wait to try making more complex embroidered things! I made lots of different kinds of stitches that I learned from YouTube or Pinterest or just made up myself in a circle to become the focal point of the layout in a pieced together hot air balloon. The rest of the layout came together quickly with die cut clouds, punched paper stars, and a cute photo of Fox. You can watch the entire process in lesson 4 of Paige's Pages 12! Paige's Pages 13 comes out on August 14th so mark your calendars!